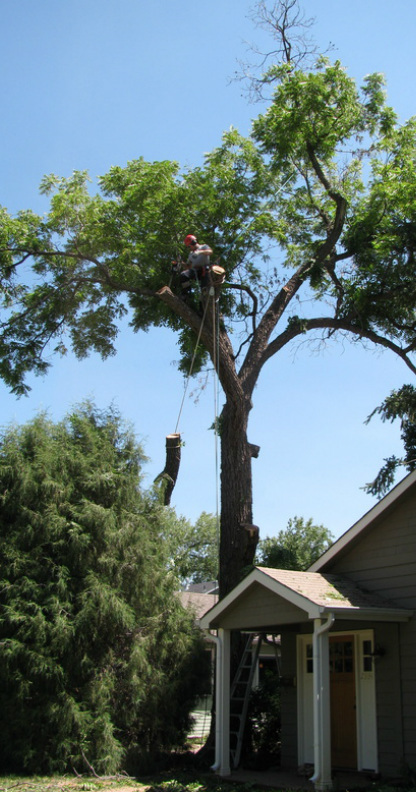 When it is necessary to remove a tree we have the experience and knowledge to get the job done safely. Using the proper equipment and techniques we will keep our team and your property safe, as well as minimize impact on surrounding vegetation. 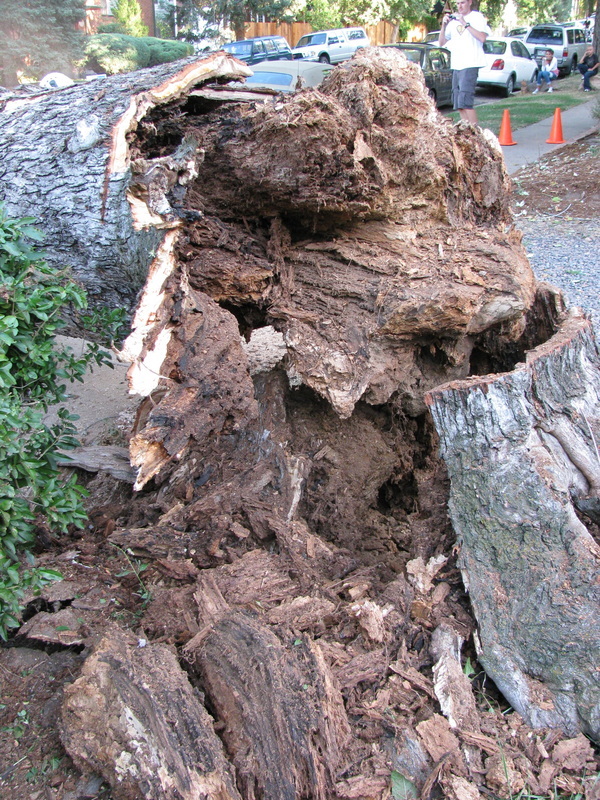 Major crack and decay in a large cottowood limb. The same limb failed about 6 months later. This silver maple shows extensive decay, presenting a hazard to the surrounding area. Aaron taking down a diseased walnut over the roof of a house. This ash failed in a windstorm, notice the discolored decay in the center of the trunk. Mushrooms can indicate root rot, and a potential hazard.